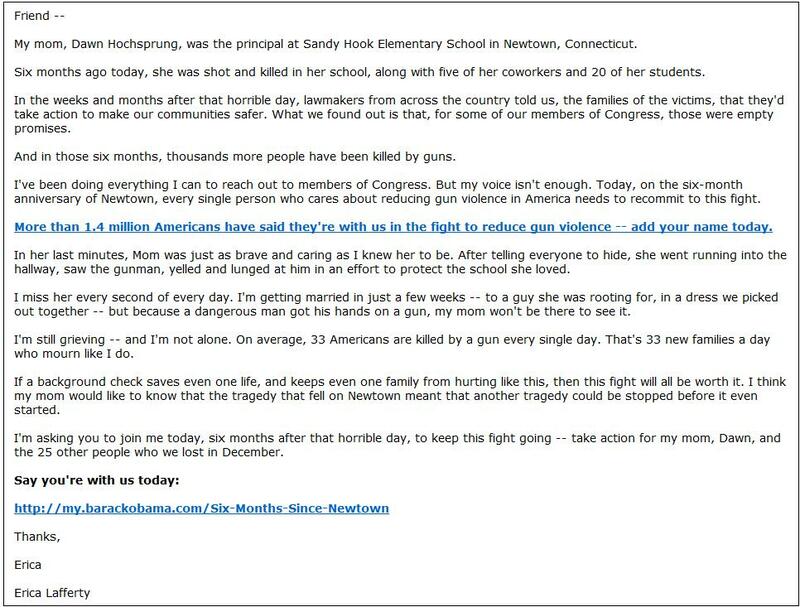 This week, on the six month anniversary of the Sandy Hook shootings, Barack Obama used Erica Lafferty, whose mother died at the school, to raise cash. So what does Newtown have to do with background checks? The kid stole his from his mother. For the record… Erica is a committed far left activist who Democrats use to harass Republicans at town hall events.